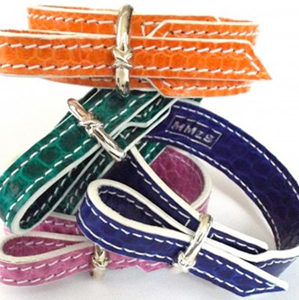 Beautiful little accessory to add a splash of colour to any outfit! 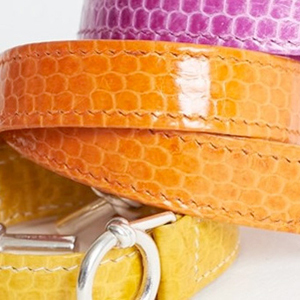 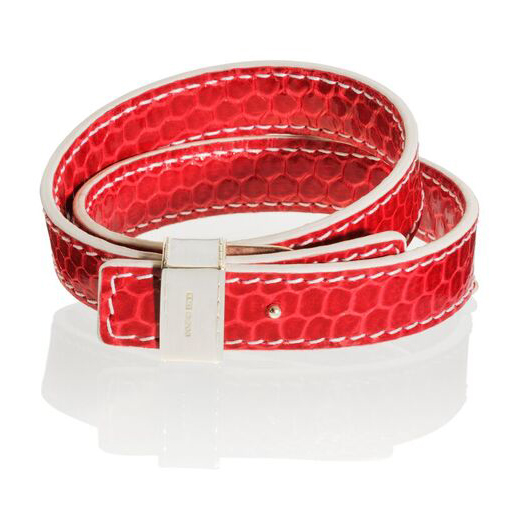 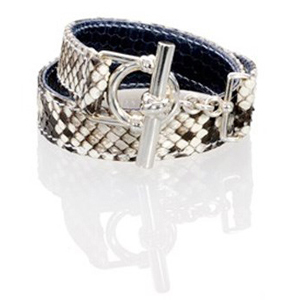 Lovely bracelet made of beautifully structured snake leather with an exchangable sterling silver buckle – like a mini belt. 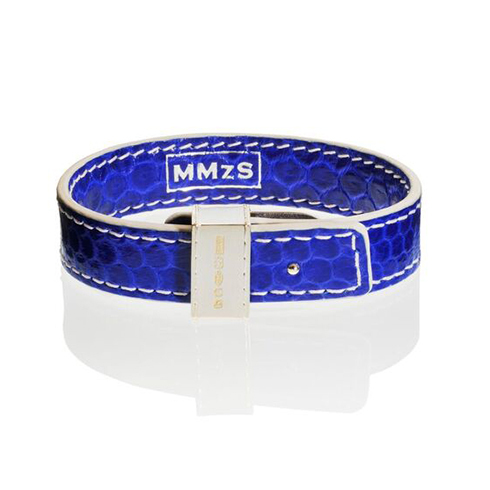 Dimensions: The bracelet strap is 1.5 cm wide and 24cm long. 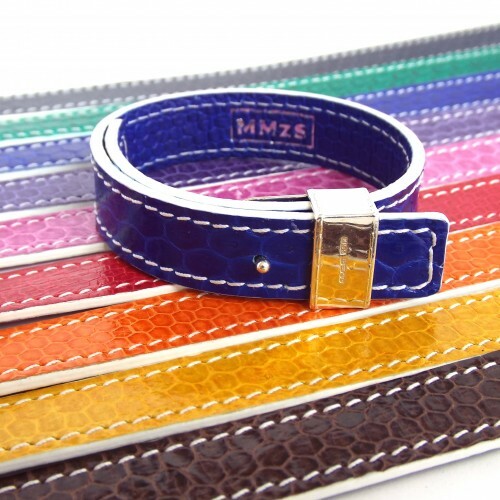 The size can be adjusted to fit wrist circumferences between 15cm and 20cm by punching at 2mm (diameter) hole in the desired place with a regular leather hole punch used for belts.